Hey everyone! We’re sorry for being off the radar for so long, again. We’re still here! We just wanted to share that our GoFundMe campaign was a success! The space is looking better and we have a more comfortable environment for everyone! It took us a bit but we have purchased everything we wanted. 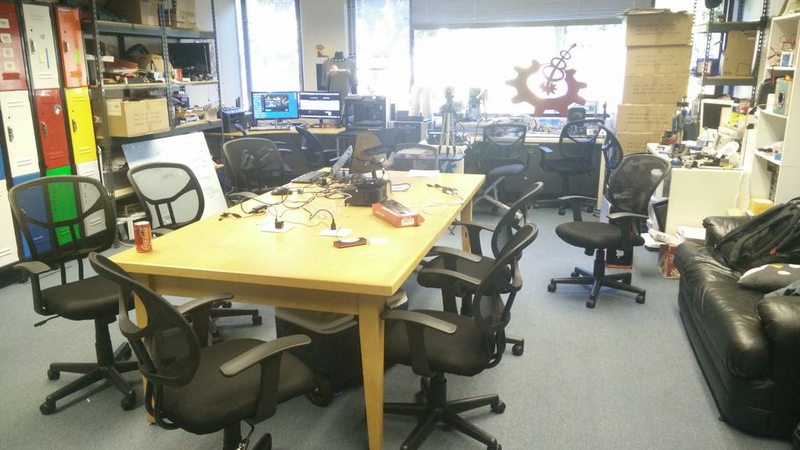 We’ve purchased brand new office chairs to replace our old, half-working, and mismatched ones. We’ve also got a portable AC to get us through those warm summer nights. In addition we’ve got a second projector that we can mount and a webcam to record and/or stream talks. You can see our new equipment in the slideshow link above. A special shout out to member Jesse for coordinating the entire campaign and setting everything up! We couldn’t have gotten all these shiny new things without your support! We’ve said it before and we’ll say it again. We’re extremely grateful to all the members and supporters for helping us to keep HICapacity going! We don't have set hours anymore. Please contact us if you would like to drop in! Receive our weekly emails to find out about upcoming events!